Our client, sculptor Renee Rhodes, curated the Gaia’s Lament: Art Cry Exhibition. The show opened Friday night at New London’s Hygienic Art with a reception, as well as a spoken word and hip-hop dance performance. 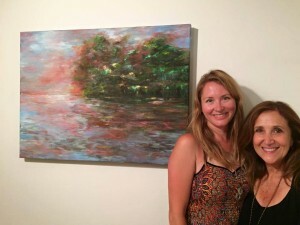 We were excited to have our collaborative painting included in the show!